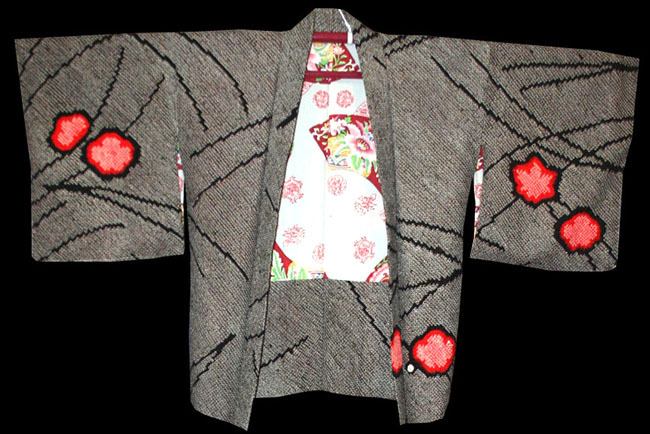 Kimoyes item: 22318 - Lovely soft black vintage haori with all over shibori dyed patterns and stunning lining. 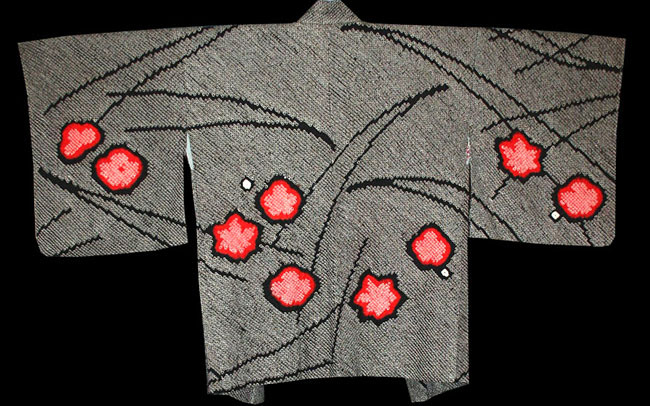 Lovely soft black vintage haori with all over shibori dyed patterns and stunning lining. 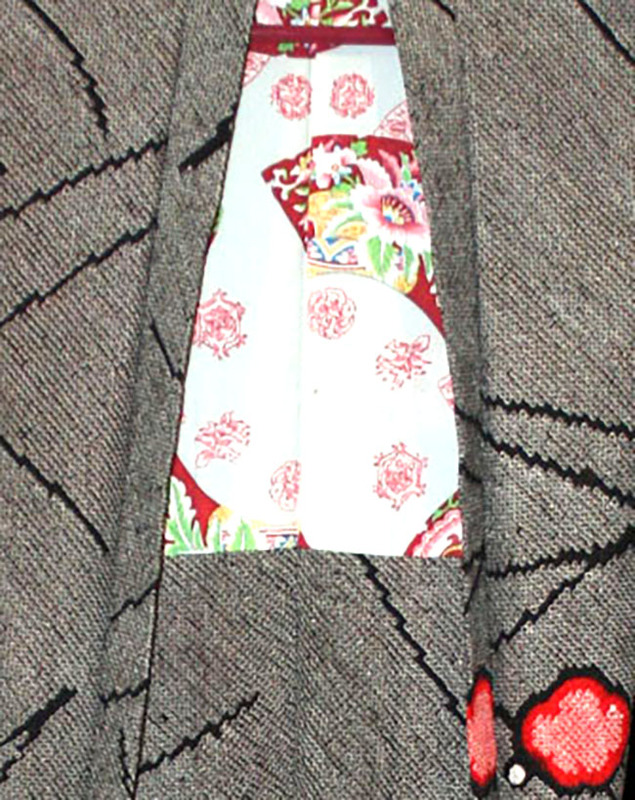 It is 32 inches in length and 50 inches from sleeve edge to sleeve edge.